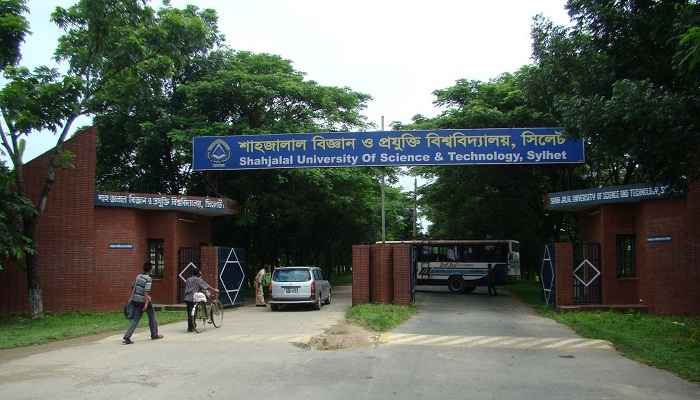 Professor Dr Ariful Islam, head of the Mechanical Engineering department of Shahjalal University of Science Technology (SUST), whose car in a crash killed two people near main gate of the university campus on Saturday noon, has gone into hiding along with his family. Akhter Hossain, officer in-charge of Jalalabad police station, said college teacher and writer Sheikh Ataur Rahman and his uncle Gias Uddin were killed when the car of Prof Dr Ariful Islam knocked them down around 12pm on the campus. Rahiba Akhter Selina, daughter of Ataur, was also injured in the accident. Prof Ariful was driving the car while his driver was sitting beside when the accident took place, added the OC. The OC also said that after the accident, the family of Ariful went into hiding and his phone was found switched off. Ataur Rahman, teacher of Chhatak Degree College, along with his daughter Rahiba, a class VIII student, and his uncle Gias went to the university campus for sightseeing. Injured Rahiba was admitted to Osmani Medical College Hospital.